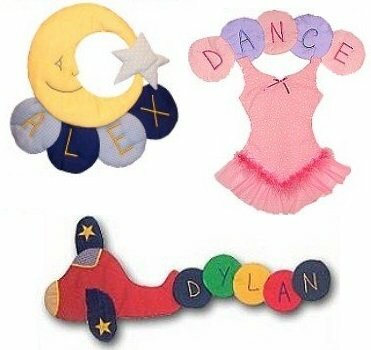 Add these beautiful fabric circle names to your Happy Scraps wall design. Each circle is 6" diameter and attached together. Order your personalized name in any of our colors available. Option for embroidered letters or foam letters. Choose how you want your name put together: Arched Over, Arched Under, or Wiggled. Price for a name UP TO 6 letters. Extra letters are just $4 each.